Your green thumb is itching to grow a garden, but you just don’t have the space. Cathy Isom gives you some unique ways to showcase your herb garden. That’s coming up on This Land of Ours. Long gone are the days of just growing herbs out of mini pots and placing them next to a sunny window. There are a number of ways to not only have every herb or plant your desire, but also how you can display them either inside or outside the home. Short on space, try these vertical garden ideas. Glass mason jars mounted on an old piece of barn or pallet wood. Wall boxes, which can be placed either inside the home or outside on patio or on a fence. A pocket shoe organizer is another option. It can be hung from a wall or door. 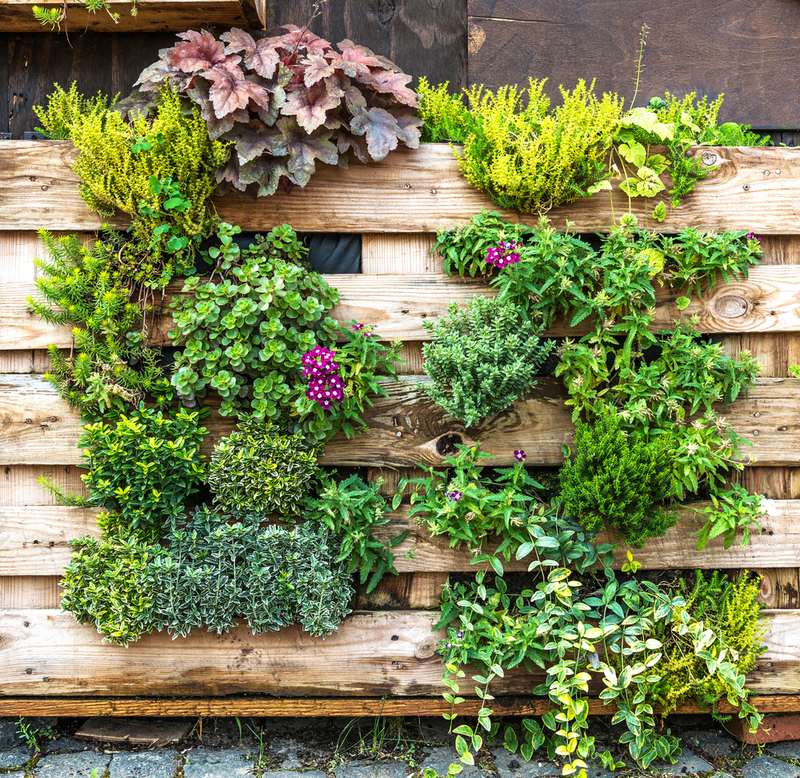 An unused pallet can also make a perfect vertical garden, as well as being a space saver. Other objects that would work perfectly for vertical herb gardens include unused shower caddies, ladders, and crates. Curtain rods are another unique way to display your herbs. They can be mounted either inside a window or along a wall. Use pots with handles. They can be aluminum or you can paint them your desired color and hang or fastened to the rods.